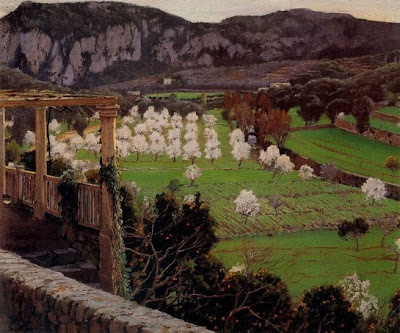 Almendros en flor by Santiago Rusiñol. From this blog about Catalan landscape painters. Probably painted in Mallorca around 1900.